KUWAIT — Kuwait’s foreign minister said on Wednesday that a long-awaited US peace proposal for the Middle East should be acceptable to all stakeholders and factor in regional considerations. US President Donald Trump’s special adviser Jared Kushner visited several Gulf Arab states last month — but not Kuwait — to seek support from Arab leaders on the economic portion of the proposal that Trump is expected to unveil in the coming months. 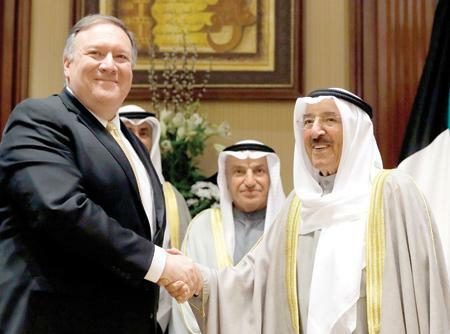 “We hope the plan will take into account the situation in the region and all the relevant parties,” Sheikh Sabah Khaled Al Sabah told a joint news conference with US Secretary of State Mike Pompeo.